Now, I have been wanting to do a Dragon Age Inquisition review for ages, and I finally been able to put into words, what I feel about this game. As I have completed this game twice ( not by choice saved data was deleted). Inquisition is not just only one of the most expansive RPGs I’ve ever played or seen, but it also successfully fills its space with gorgeous, massive world with meaningful things to do and see. A frustratingly vague plot and typical BioWare bugginess drag it down a bit, but both in combat and out, Inquisition marks a welcome return to the RPG depth that made Dragon Age: Origins so magnetic, and what made me fall in love the series to begin with. 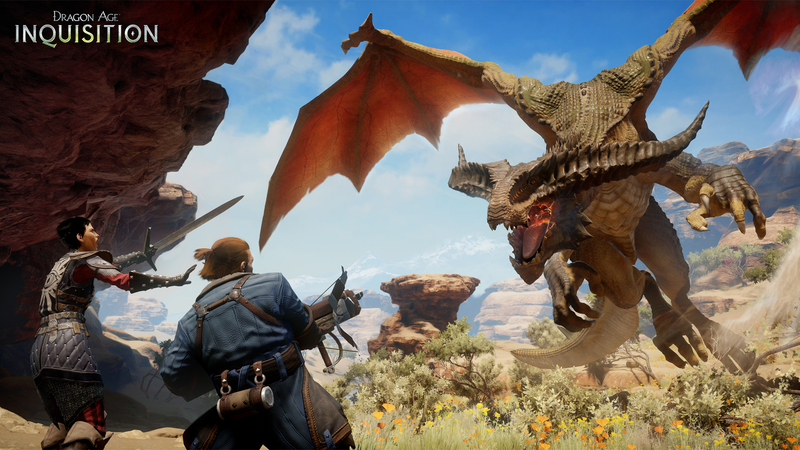 Dragon Age: Inquisition, you aren’t just the leader of a small group of allies, but you are the focal point of a sweeping, large-scale movement to bring reform and order to a land, which has been ripped apart by civil war and political strife, which has been slowly building and bubbling over in the other titles . Literally, there are interdimensional demon-spewing rifts are tearing holes in the sky across the world. Your new movement has tons of tiny moving parts to manage, but major actions, such as scouting new regions and undertaking new story missions, require power – a central resource that’s doled out for doing nearly anything across all the Inquisition’s nine large areas. It’s a brilliant idea that gives purpose to all the side-questing and sightseeing by directly tying it to story progression. However, collecting the power the unlock new parts of the story can be a little time consuming, and the game does force you do the side quests and little quests because you need the power to further yourself in the game, which I do like side quests but I don’t like feeling like I have to do them. Some of the regions do seem restrictive, even corridor-like when I initially set foot in them, but they soon opened up into vast sandbox environments. No matter how many demon-spawning rifts I closed, or hidden shards I found, I always felt like I was making tiny dents on the tip of an iceberg. That’s not to say it lacks a sense of progression; the way you start as a band of upstart rebels and grow into a highly influential martial and political force is one of Inquisition’s most satisfying traits, and its nice to see your actions effect a whole movement not just your own own band of merry men.The sheer volume of content borders on overwhelming, sometimes hard to focus but, thankfully, a little handy quest map makes it easy to track each region’s content, which allowed me to focus my attention on a set goal or quests and a helpful hint always select your quests/mission as it will give you an icon on the map to follow, which I am very grateful for. However, the diverse landscapes of Ferelden and Orlais strike a smart balance between open spaces and directed paths. Unclaimed keeps and unexplored ranges on the horizon always kept tempting me away from my current story objective, but the clearly marked pathways kept me from ever feeling truly lost. In fact, I never really felt like I’d hit a dead end with anything, because you can barely walk in any direction for a minute without stumbling upon something to do, which was great because it never really felt like it was just killing time at all, you could spend hours doing so. It just shows what a hell of a good of a job Inquisition does of contextualising its many pieces. Whether it’s with a well-delivered piece of dialogue or a smartly-written bit of supporting lore, every quest you undertake has an air of being something more important than the simple fetch or kill task it actually is. The tale I was really invested in was the one I carved out for myself, with not only the major story decisions I made, but where I spent my time and with who I spent it with, and how I chose to run the Inquisition. In the war room, little mini-stories played out as I decided which of my advisors should handle different tasks. In the the throne room I’d sit and pass judgement on those I’d brought to justice during previous quests. Who do I execute? Who do I exile? Who get’s a second chance? Combined with the excellent party banter, content like this ensured that my story remained interesting even after the curtain had fallen on the main campaign. When I’d finally slain my first dragon in Dragon Age: Inquisition, I felt a little sad at the thought that I was probably beginning to exhaust its seemingly endless stream of content. It’s a surprisingly huge, dense world, and I soon realised there were still entire sandboxes I hadn’t even set foot in. Even in my hundredth hour, I’m still discovering the areas etc. Despite its less than compelling plot, I still want to go back to explore and fight through every nook and cranny of Dragon Age: Inquisition, until every dragon’s skull is mounted on my wall. 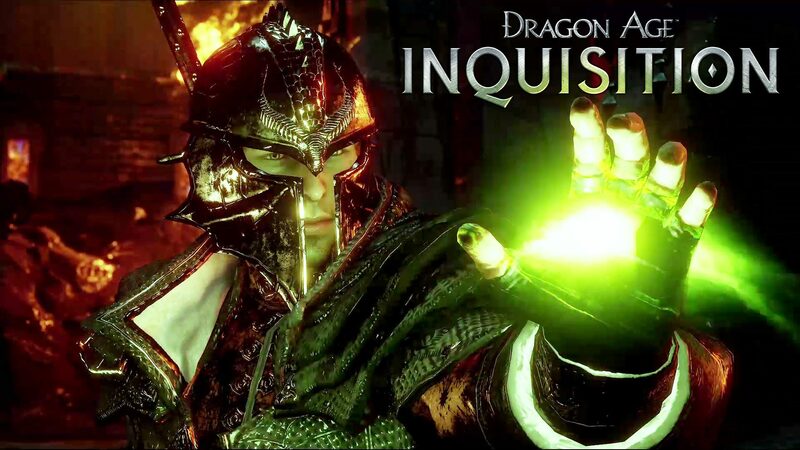 I always loved the look of Dragon Age Inquistion, I actually really love the characters, but I sometimes I felt bored, its like the game can be beautifully boring to play as I was wanted to continue the main story, but before that I had to do lots of side quest and sometimes I would forget the story, and the story would sometimes lose momentum because of that. Posted in games.Tagged bioware, dragonage, inquisition, insight, review.